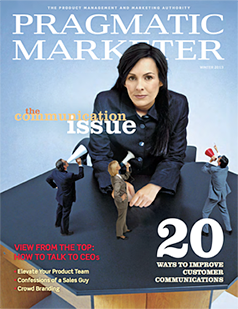 Prepare to conquer the world. 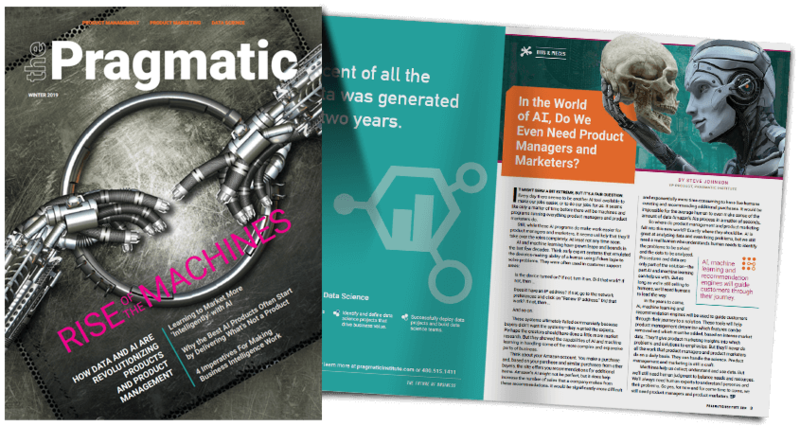 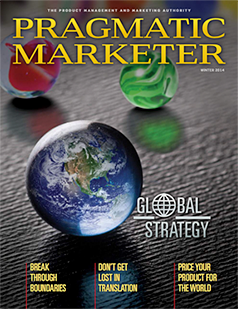 The winter issue of Pragmatic Marketer features actionable best practices for bringing your products to international markets. 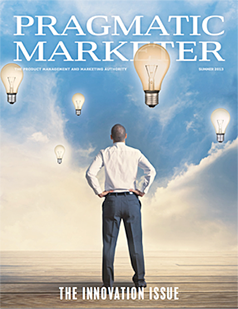 Stop innovating for innovation's sake. 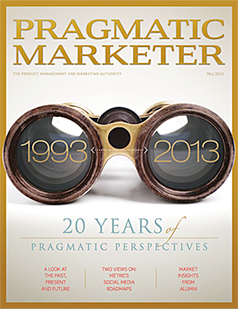 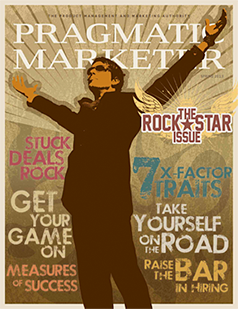 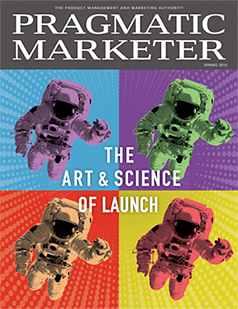 The summer issue of Pragmatic Marketer shares tips, best practices and real-life examples to help you innovate the right way. 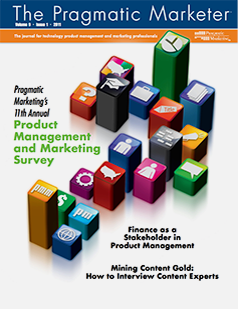 Pragmatic Institute's 2010-2011 Annual Product Management and Marketing Survey, Finance as a Stakeholder in Product Management, Mining Content Gold: How to Interview Content Experts. 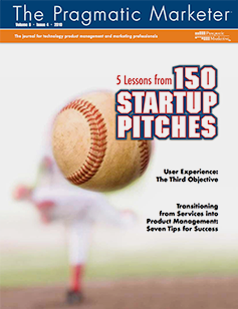 5 Lessons from 150 Startup Pitches, User Experience: The Third Objective, Transitioning from Services into Product Management. 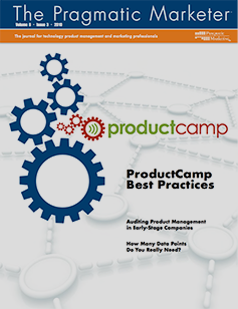 ProductCamp Best Practices, Auditing Product Management in Early-Stage Companies, How Many Data Points Do You Really Need.